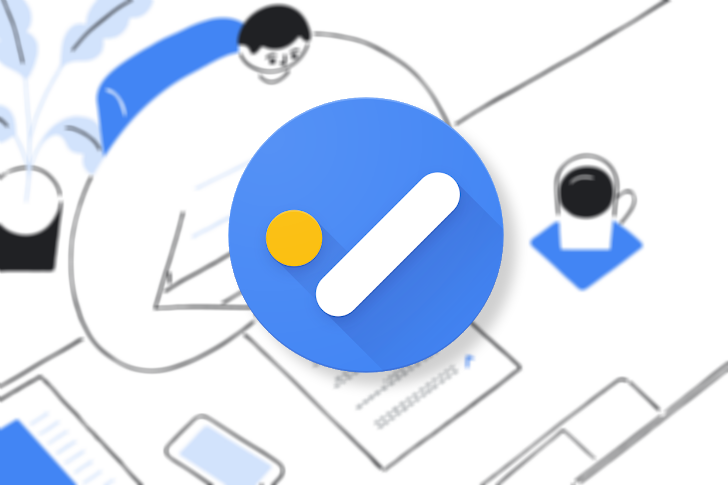 Google has just published an official announcement to its G Suite blog formally revealing these new features, as well as the precise workflow to import reminders into Tasks manually. Notification appearing for many to announce the new features. This change is being announced via a notification that is appearing for many when accessing a compatible service that includes Tasks integration via the Sidebar, such as Gmail. Before: Left. After: Right. The Calendar UI picked up times, but not repeat. There are two ways to add a task right now: via the "Create" Calendar UI for new events and tasks, and via the sidebar present on multiple Google service websites. Google Calendar's implementation has picked up the addition of more precise times, but not the ability to repeat tasks. 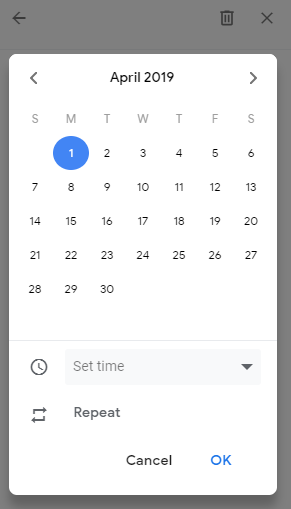 Google also claims that the ability to view Tasks together with events in Calendar site is new, but we can't verify that. The notification announcement implies it's a new feature, but Google has a habit of re-announcing old features as new when it suits it, and prior coverage indicates that Tasks could previously appear in your calendar. It may be that they are merely enabled by default now. Tasks in the sidebar with new "Set time" and "Repeat" options. The separate sidebar version of Tasks has picked up both more precise times and repeat items, allowing you to select between half-hour windows of time throughout the day, and assign tasks to repeat at any positive integer's interval of days, weeks, months, or years, and also assign a specific date for the cycle to begin. Some users are also getting a dialog (pictured above) which ask if they'd like to import reminders into their task list. 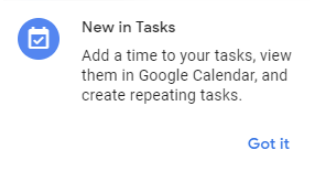 Google might be gearing up to have Tasks take over for the reminder system entirely. Right now it's haphazardly distributed through several other services. Imported reminders are only synced once, it isn't an ongoing process, and if you have them tied to location data, that will be lost. If you'd like to import those reminders but haven't received the prompt, you can do it via the three-dot menu in the top right of the Tasks sidebar, as depicted in the GIF above. Precise times and repeat aren't available on Android yet. At the time of writing, the Android app hasn't picked up any of this new functionality, with the last update landing back in January. Google's recent announcement says these features should be coming to Android and iOS apps, though, so we probably don't have a long wait. Google has just published an official announcement to its G Suite blog formally revealing these new features, as well as the precise workflow to import reminders into Tasks manually. We've updated our coverage with any new information provided, plus a sweet pair of GIFs. 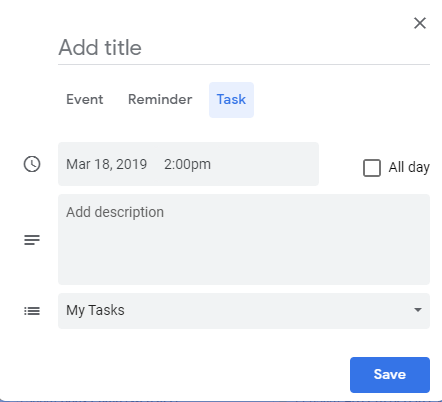 The rollout for the new feature begins today for all G Suite customers, and will be completed over the next three days. 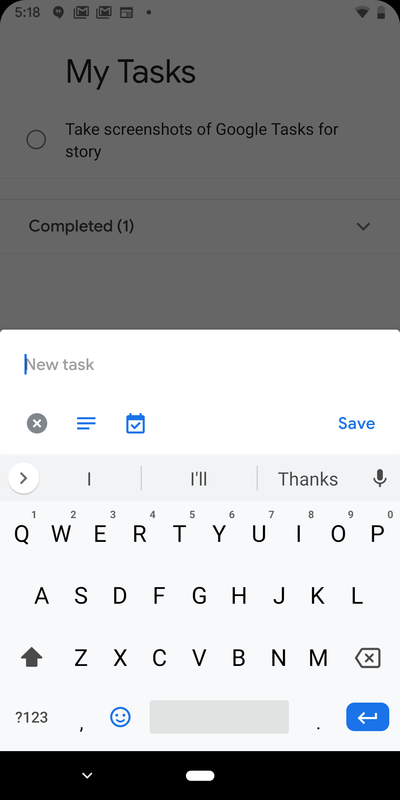 Continuing its slow march towards actually being usable, an update the Google Tasks Android app brings it in line with the new features that recently came to the web version. 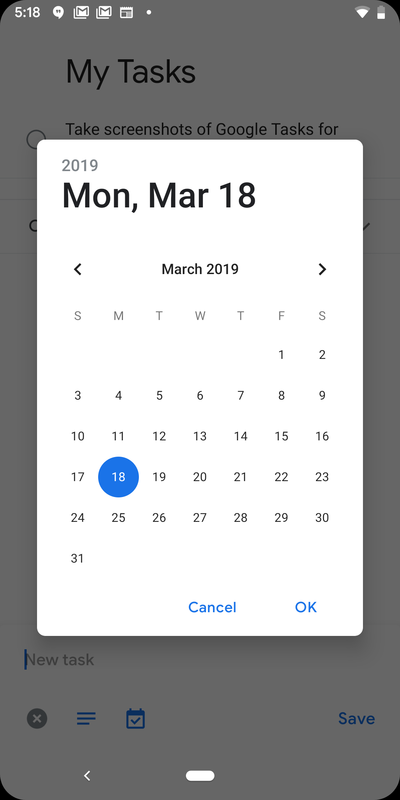 You can now set timed reminders in the app, as well as recurrences by day, week (including multiple days), month, and year. Also brought across from the web app is the ability to import your reminders from Inbox, a prompt for which should show up when you first fire up the app after installing the latest update (if not, there's an option in the three-dot overflow menu). What joy, then, that I had already manually converted all of my many Inbox reminders. 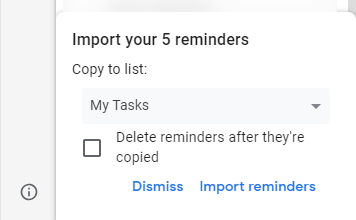 Curiously, I got asked if I wanted to copy over one last reminder just now, and it happened to be one I set with Google Home just this morning. I wonder if Google Home reminders will automatically appear in Tasks eventually — it would certainly make sense to have a central repository for all of Google's tasks and reminders, so here's hoping. If you've not yet received the latest update to the Android app through the Play Store, you can go ahead and download it from APKMirror.